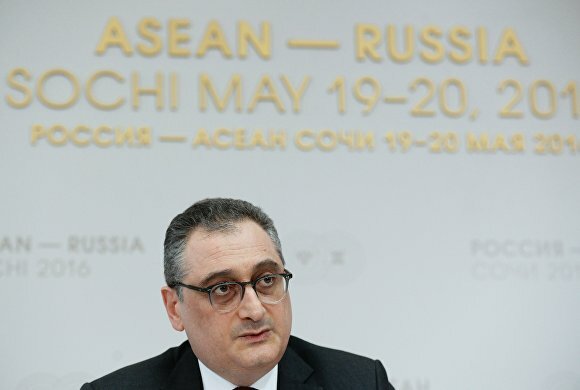 Russia and ASEAN are interested in creating a single and indivisible security and cooperation framework in Asia-Pacific, Russia's Deputy Foreign Minister Igor Morgulov said at a press briefing during the ASEAN — Russia Summit in Sochi. "Russia and the ASEAN countries are interested in creating a single and indivisible security architecture based on equality and respect, as an open and inclusive framework, taking into account the collective and legitimate interests of all countries within the region," he pointed out. The Deputy Foreign Minister went on to say that the ten ASEAN member states are Russia's "natural partners" in this respect, since efforts to create a security framework in the APR and Southeast Asia are in their early days. 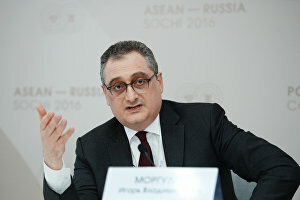 Mr Morgulov also said that Russia's Foreign Ministry expects Russia and the ASEAN countries to sign an agreement on responding to emergencies. The document is currently being drafted. He also talked about expanding trade, highlighting energy, agriculture and transport as priority areas. "We are currently defining priorities in the existing complex economic environment. Of course, these priorities include energy, transport, infrastructure, agriculture and innovation technology, including space exploration, information and communication technology, and other spheres," the Russian diplomat pointed out.